When it comes to sports, all athletes should understand how their respective sport can impact their body. Although some athletes have special pads to protect their bodies, they are still susceptible to injury because the human body is not made of steel or iron like some comic book character. Running, jumping, falling, pivoting, and any constant motion can cause a person to injure themselves. From painful tears to irritating sprains and strains, sports injuries can occur in almost any sport. Because most sports injuries are related to the spine and central nervous system in some way or another, a chiropractor may be able to assist in the recover process by allowing the nerves to communicate freely with the injured area, promoting blood flow and natural recovery. If you or your child have suffered from a sports injury recently, depending on your condition, a chiropractor may be able to help you recover. Call your local chiropractor to schedule an appointment today. It is important to understand that chiropractic adjustments are not a cure for any injury. Instead, a chiropractic adjustment aims to increase blood flow and nervous system communication, so the injured area of the body may have a better chance of recovering faster and on its own without medications, injections, or surgery. Chiropractic care can also be viewed as preventative care for neck, back, shoulder, knee, and ankle injuries, as it aims to improve joint function by reducing pain and inflammation. Most athletes will benefit from chiropractic care based on the constant stress they put on their bodies. As athletes add stress to their bodies, most will suffer pain because of forceful impacts, movement repetition, and over-exertion. 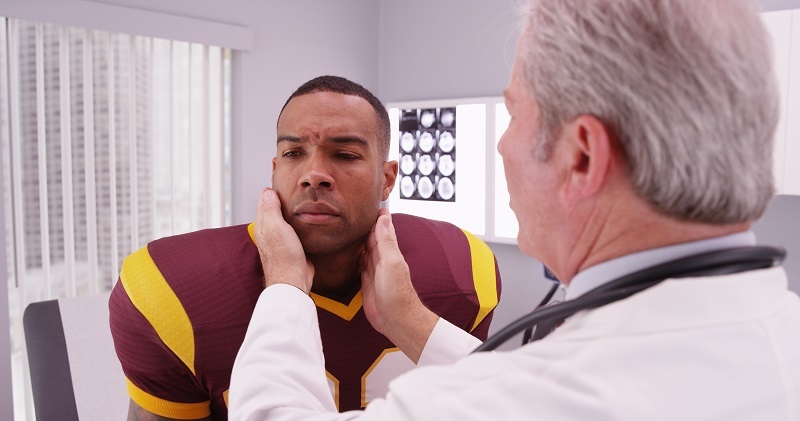 Chiropractors have also solidified themselves in professional sports as they now hold permanent positions on many teams to assist professional athletes with any spinal ailment they may incur. A chiropractor is a doctor who specializes in the spine, which means that anything connected to the spine, including the nerves, have a high potential of being treated by a chiropractor. Still, successful care depends on the condition that a person is in because not all injuries can be treated with chiropractic care. Although all chiropractors are educated in injuries related to the spine, there are some chiropractors who also specialize in sports medicine.